St Lucia with its stunning scenery provides a variety of luxurious relaxation points, from white sandy beaches to unique black volcanic sand. 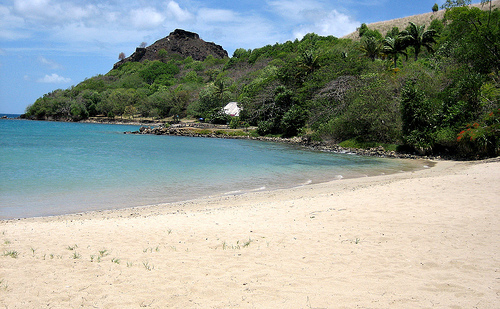 All the beaches in St Lucia are open to the public and provide the perfect opportunity to dive. The size of the waves varies throughout the island, with the north eastern side experiencing larger Atlantic waves, whilst the West coast has the more tranquil turquoise waters from the Caribbean sea. In the north of the island, Rodney Bay has five miles of white sand with calm waters and is one of the most popular beaches. There are restaurants and vendors selling water –sports equipment and lounge chairs. The national park tends to have quiet, uncrowded beaches but is good for sunbathing and swimming and visitors are able to climb to a vantage point to see the historic Fort Rodney ruins. 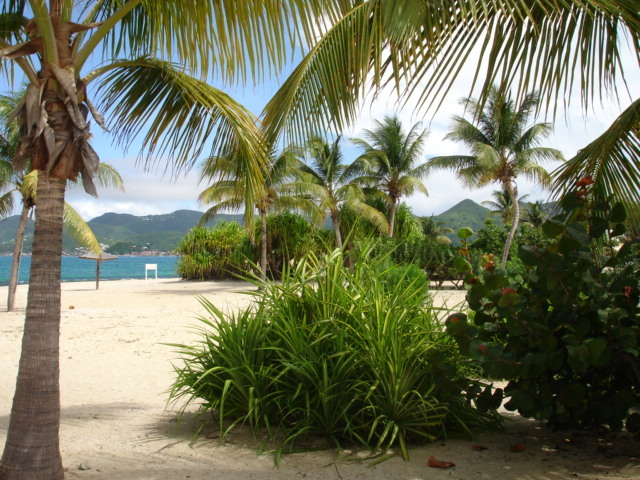 The beaches provide distant views of the French Caribbean island, Martinique. 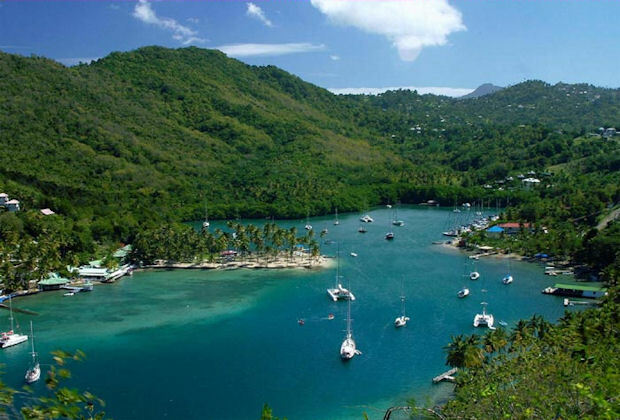 Half way up the west coast of St Lucia (facing the Caribbean), south of Castries, there are secluded stretches of white sandy beaches which can only be reached by charter boats, catamarans and speed boats. The beaches here have calm, relaxing waters. 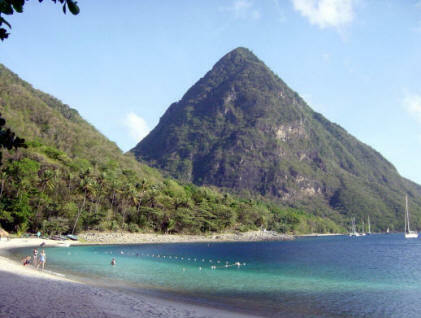 On the south west coast of St Lucia, Anse Chastanet is close to Soufriere. It has natural beauty and lush palm trees which can provide shade from the sun and the green hills provide a contrast to the beaches ebony coloured sands. It has a coral reef with a sharp drop which provides stunning corrals and fish for snorkelers and divers. Grand Anse is north of Dennery and has a mile long stretch of white sandy beach where visitors can see endangered leatherback turtles, the largest of sea turtles, heaving themselves onto the beach to lay their eggs. 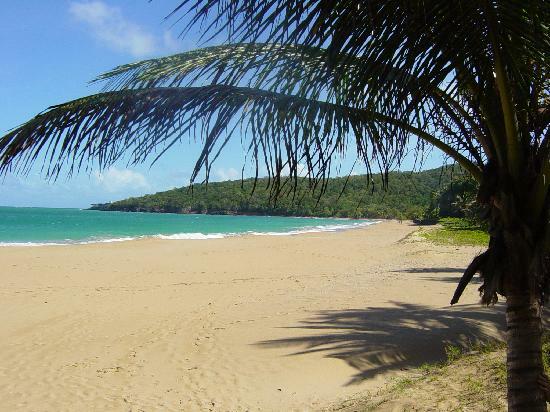 This delightful beach is located on the southwestern coast of St. Lucia , 1 mile from Anse Cachon Dive Spot. Anse Couchon is close to Canaries , so you can explore the town as part of your day at the beach.The shores of Anse Couchon beach are covered with rich black volcanic sand which meet the peaceful aquamarine waters of the Caribbean. While St. Lucia offers beaches that are more secluded than Anse Couchon the combination of natural beauty, personality and atmosphere provided by this location could be what you are looking for. If you are looking for privacy and seclusion then you might like to consider the beach called Anse des Pitons which is located on Jalousie bay, 0.3 miles from Jalousie Plantation.This crescent-shaped little beach used to be one of the island’s black sand beaches until it was covered with powdery white sands.Although St. Lucia offers beaches that are more secluded than Anse des Pitons the natural setting and other special features available at this beach might be just what you are seeking.You may find that beaches throughout St. Lucia are usually fairly quiet , but you can find a difference at Anse des Pitons . 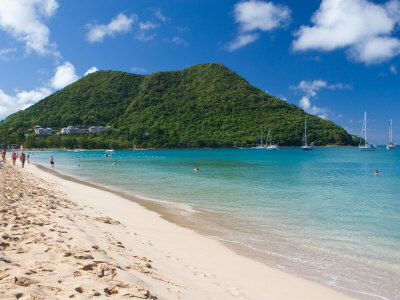 This delightful beach is located on St. Lucia’s southern coast , 0.2 miles from Pigeon Island National Historic Park. 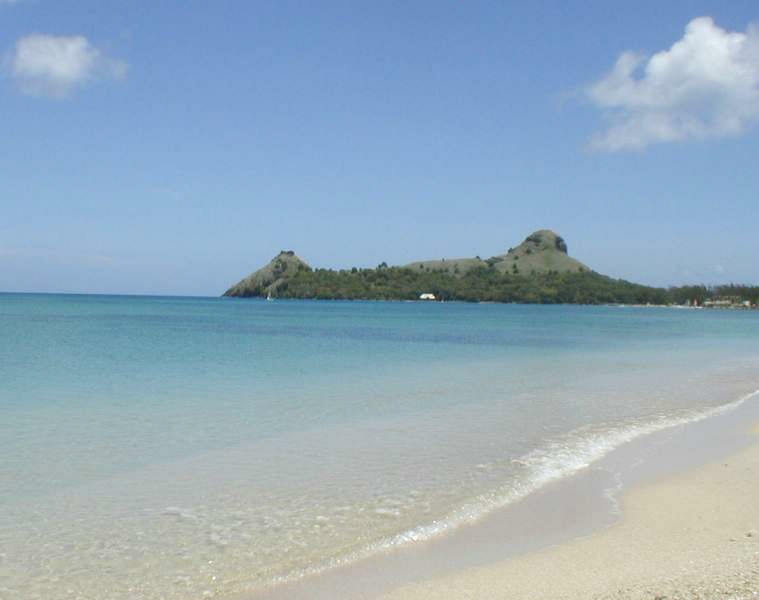 Pigeon Point Beach is close to Gros Islet , so walking into the town is a definite option. The shores of Pigeon Point beach are endowed with groves of lush tropical trees, including big banyans, that tower high above the sands. From this beach you can take in great views of the coast and nearby Martinique. 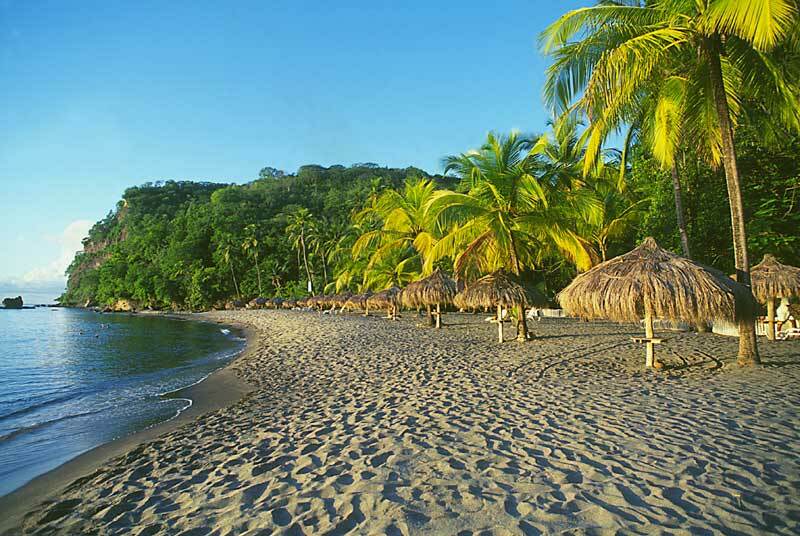 This quaint little beach is littered with soft white sands, and is an ideal place for a picnic. This beach is located on the south eastern coast, approximately 1 mile from Maria Islands Nature Reserve and is close to Vieux Fort so a trip to town is a convenient stop. Anse des Sables is a lovely stretch of white sandy beach, which opens out into a shallow bay on the southern end on the island. This windward beach is located on the Atlantic side of St. Lucia, so you may experience strong gusts from the trade winds. 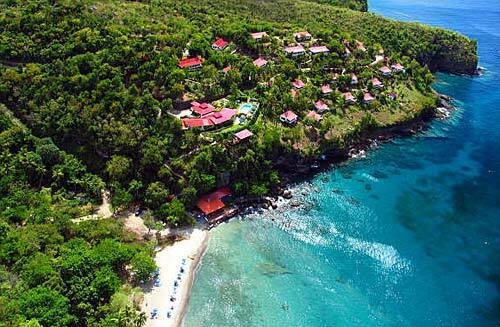 While St. Lucia has some more secluded beaches than Anse des Sables, the natural setting, personality and other features provided by this beach could provide you with the idyllic setting you are looking for.